Like the draft board interface for the mock drafts? You can use the same fantasy football draft board to host your own private draft! The Commish Membership is a $49.99 value for only $29.99! 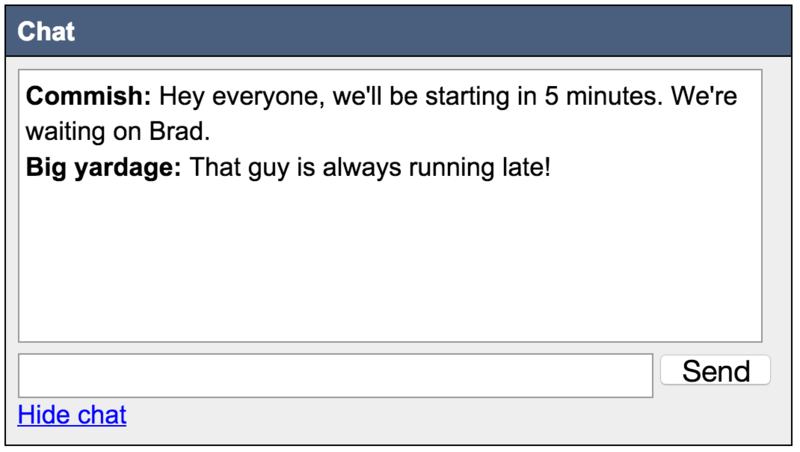 Your friends can draft on-line or in the same live draft room as the commish. They can pick for themselves or the commish can pick for them. The live fantasy football draft board works on all devices, including mobile, tablets, and PC. The built-in chat room lets you communicate with everyone throughout the draft. 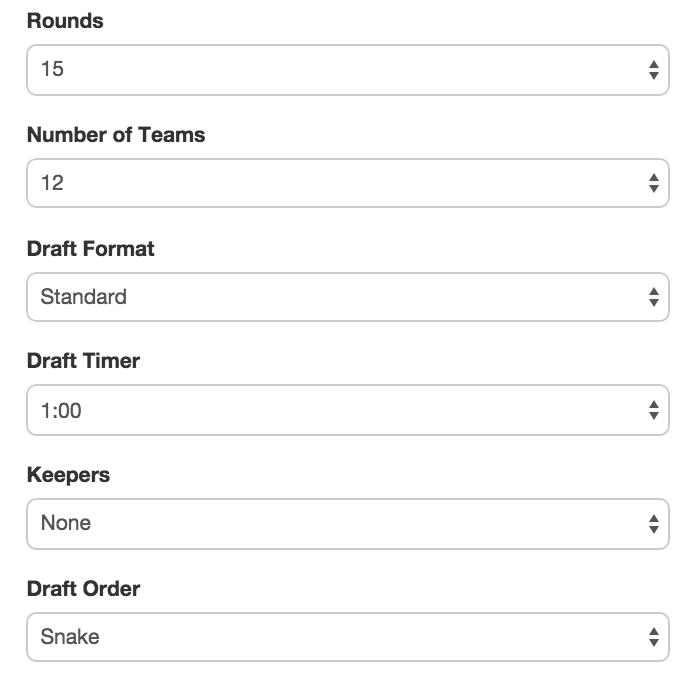 Full support for keeper drafts, custom rankings, number of teams and rounds, draft order, and timer. Even disable the draft timer completely if you want, and your draft board will progress only when picks are made. Every fantasy football draft board receives it's own private URL and draft lobby landing page. Optionally send an e-mail invite to each member of your league. Everyone has a custom code used to claim their team before the draft. Fix your misakes. The commish can undo and delete draft picks after they've happened. Pause and resume the draft whenever you want. Draft board rankings have been updated for 2019 so you'll always have up-to-date players. It's the best 2019 online fantasy football draft board you can find. 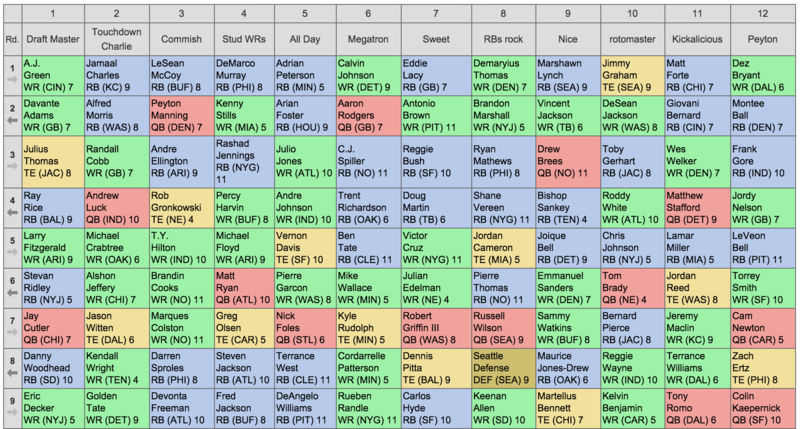 A good draft board can make or break your fantasy season. Don't ask your friends to use a flimsy paper-based draft board. The customizable, on-line draft board from Fantasy Football Calculator is the best you can find. On top of all of all of that, we'll throw in the premium application features for you for free! You'll get access to the Draft Simulator, Draft Tracker and more for no extra charge. Ready to host an amazing draft? Use the best on-line draft board for just $29.99!